If you plan on moving your home and business to Australia, you may eventually decide you want to apply for permanent residency to help secure your future in your new home country. Australian pr is not the same as citizenship but still infers a number of benefits on the holder which are not available on other more temporary types of visa. Australian PR is only granted to one of a select group of individuals, generally who qualify either through family, employment, business or skills held. However although it bestows the right to stay in the country indefinitely, an additional visa – usually for five years – is also granted alongside which enables the individual to leave the country and return without a problem. Once this temporary visa expires, the individual holding PR still has the right to remain in the country but if they wish to leave and return they will need to apply for something known as a Resident Return Visa. 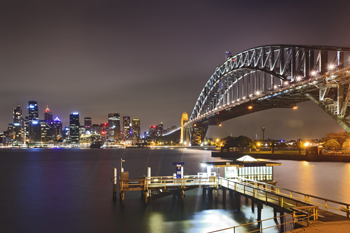 Australian Permanent residency can be revoked by the Minister for Immigration but this would normally only occur in extreme cases such as criminal activity. It can however also be lost by individuals who leave Australia for long periods before attempting to return. Holding Australian PR card means you can sponsor other members of your family to enter the country and any children you have will automatically hold Australian citizenship. This only applies to children who are physically born in Australia. Australian PR also provides access to certain rights such as subsidized healthcare and legal costs and it is also possible to visit and work in New Zealand without needing to obtain a visa. The types of employment that can be secured within Australia itself are also far less limited than with a temporary visa. This card does not however provide the right to vote. After a waiting period anyone holding Australian permanent resident card is eligible to apply for full citizenship. This is not mandatory but many individuals living in the country choose to do this because of the extra status it allows them to enjoy. Being a citizen for example, allows a person to participate in elections, even though they may have been born overseas. And unlike an individual holding simply Australian PR, citizenship guarantees the right to leave and re-enter the country without any immigration restrictions and also means they cannot be deported. It is not however possible to apply for citizenship immediately, permanent residency must be sought and gained first and then held for some time before it's possible to then take the last step. To get an Australian PR, fill out out Enquiry Form, and also follow us at Facebook, Twitter and Google+.